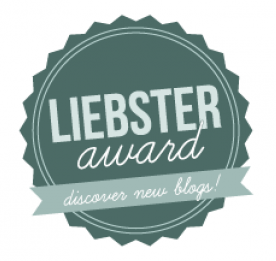 I’m pleased to announce that I recently received two nominations for a Liebster Award. The first one came in from the wonderful Weenie at Quietly Saving and the second from the delightful Dividend Life. Thank you both! It’s an online award for Bloggers from fellow Bloggers. If you choose to accept the nomination, you get the opportunity to answer some questions about yourself. You can then choose to nominate some Blog’s yourself and ask your own questions. 1. What’s your favourite holiday destination? Ireland – It’s a beautiful country, full of fantastic people, and it has so much to offer. 2. What piece of financial advice would you give to your 18 year old self? Save/invest at least 50% of all income. 1. What do you want people to take away from your blog? To take anything away is a bonus for me – A shared experience, knowledge, inspiration, or a smile. 2. What’s the most valuable financial lesson you’ve learned? Record all income and all expenses for as long as possible. Nothing has come close to this for me. 5. Who has inspired you and what did they inspire you to do? My Grandad – He was a Japanese Prisoner of War for 3 1/2 years and lived until he was 93. To survive what he went through and live a long, full life is nothing short of staggering. Under The Money Tree – This proud Scotsman works in the finance industry in London. His ‘Money Tree’ is cultivated by his day job, investments in stocks in shares, buy-to-let properties, mortgage over-payments, and internet marketing to new but a few. My Dividend Growth – Over the pond to Ryan, who’s a TV editor in LA. He enjoys his work but it is guaranteed long term. He wants to set up a Dividend Income stream to eventually live off. He happens to be one of the nicest Bloggers I’ve come across too. If you haven’t visited either Blog, please click on the links and check them out. What is the best financial advice you could pass on to someone? What is the best type of investment in your opinion and why? Outside of finance, what is your biggest passion in life? What’s quote or saying do you find most inspiring?